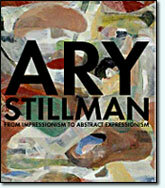 The mission of the Stillman-Lack Foundation is to promote, preserve, display, exhibit, advance scholarship, teach, and research the work of Ary Stillman. The Foundation was established upon the death of Ary Stillman in accordance with his express wishes, and its primary objective is to make the Stillman paintings and drawings accessible to the public. The Trustees feel that there is great value, aesthetic, philosophical, and educational, in viewing the development of a creative artist, step by step, from his earliest years to his final statements. Such a view is possible through the collection, which Ary Stillman bequeathed to the Foundation, including 700 representative paintings and drawings from each phase of his creative output.